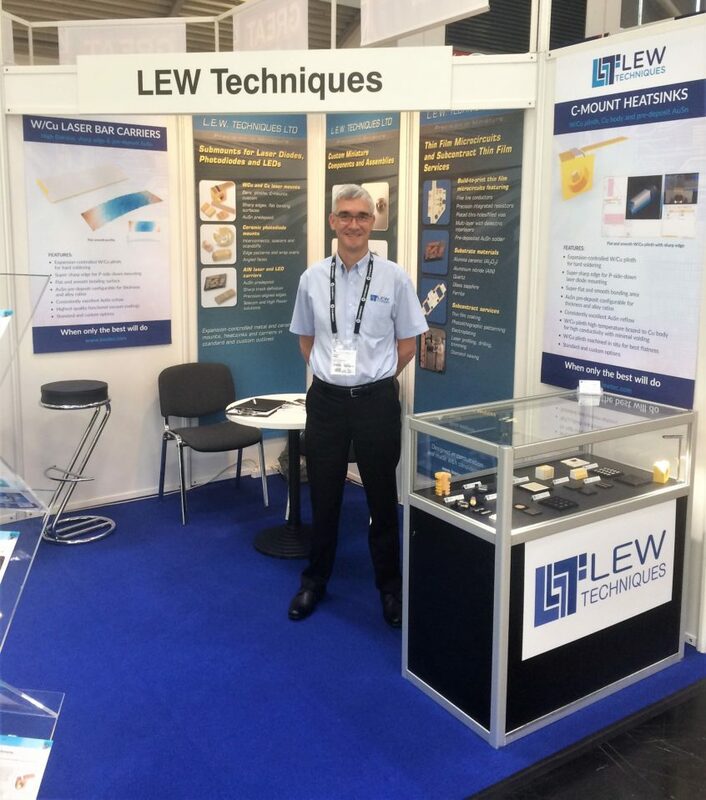 LEW Techniques exhibited at Munich’s Laser World of Photonics in June, to demonstrate its capabilities in precision sub-mounts and carriers for laser diodes, laser bars, laser stacks and photodiodes. The company would like to thank everyone who visited the stand at the exhibition. If you would like to be informed of our future news and events, sign up to our mailing list here.